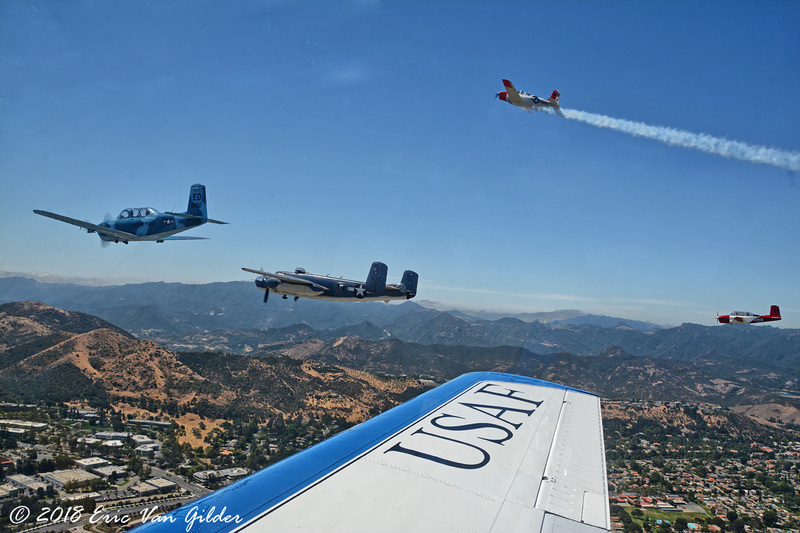 Memorial Day is the time to remember those of our military that have paid the highest price for the freedoms that we enjoy. 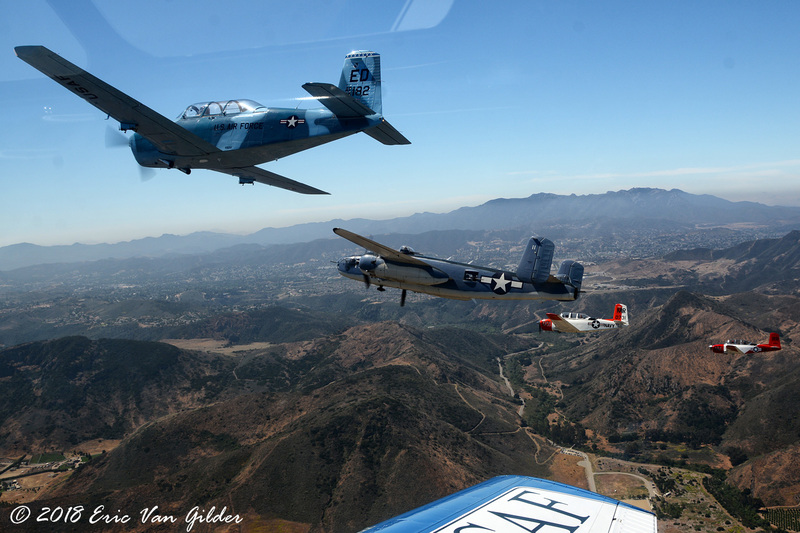 Each year, I ride along with various aviation groups to capture the flight and to also remember my fallen brothers and sisters. 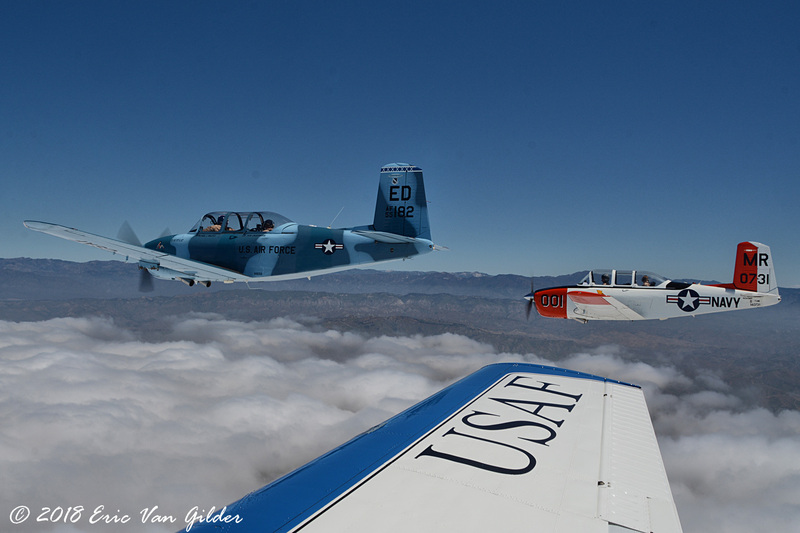 We flew two flights on Memorial Day. 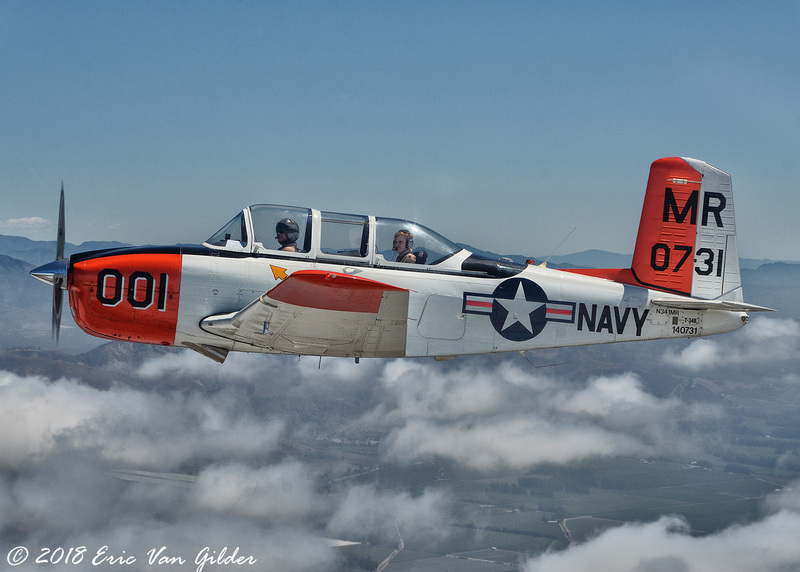 This first one was over the Pierce Bothers Valley Oaks Griffin Memorial Park where they hold their annial Memorial Day service. 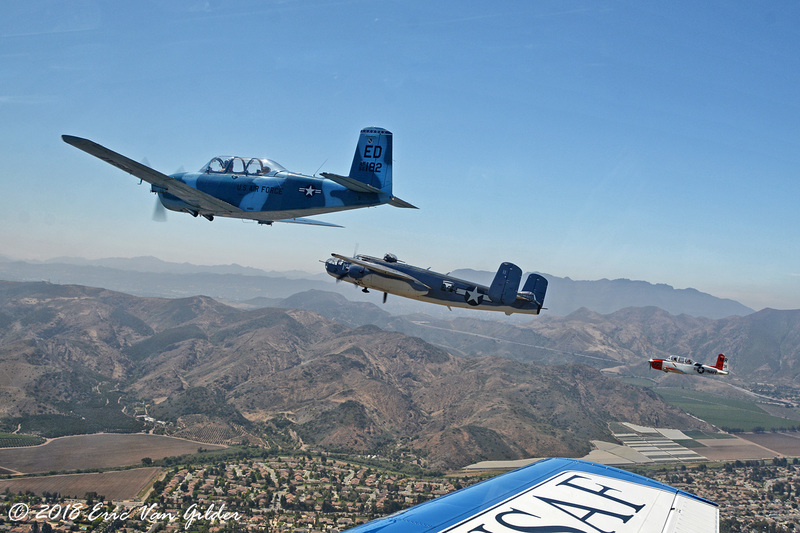 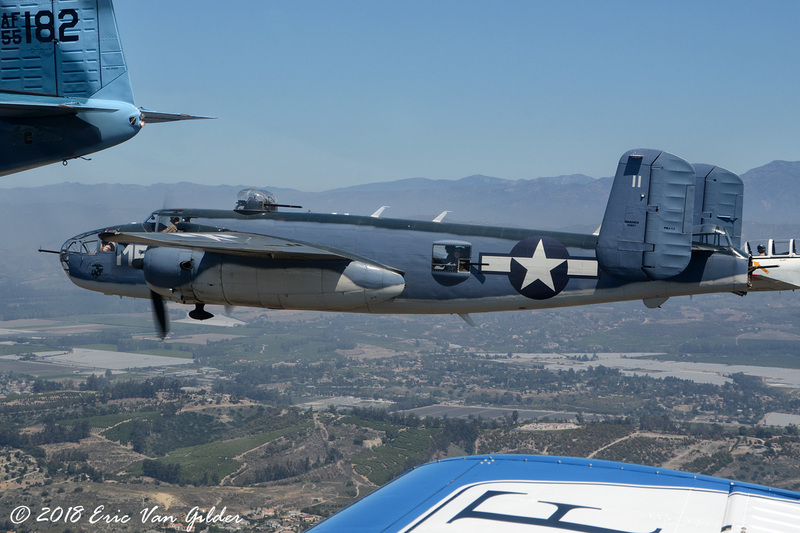 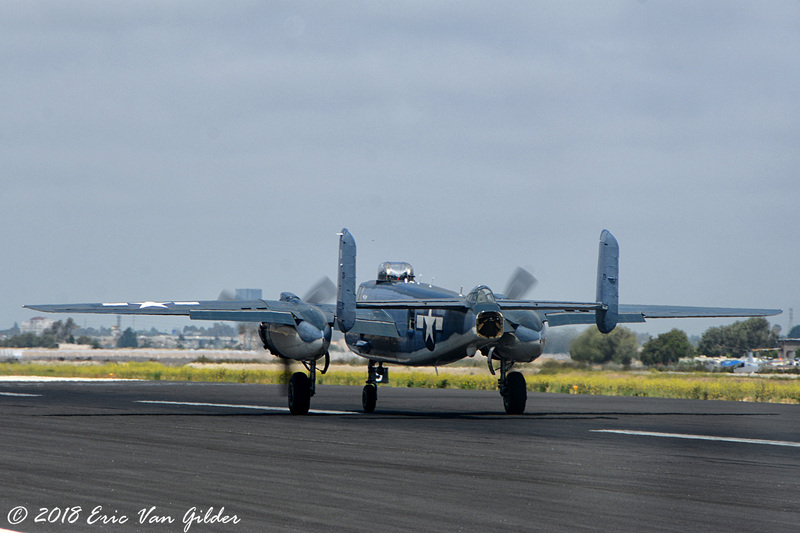 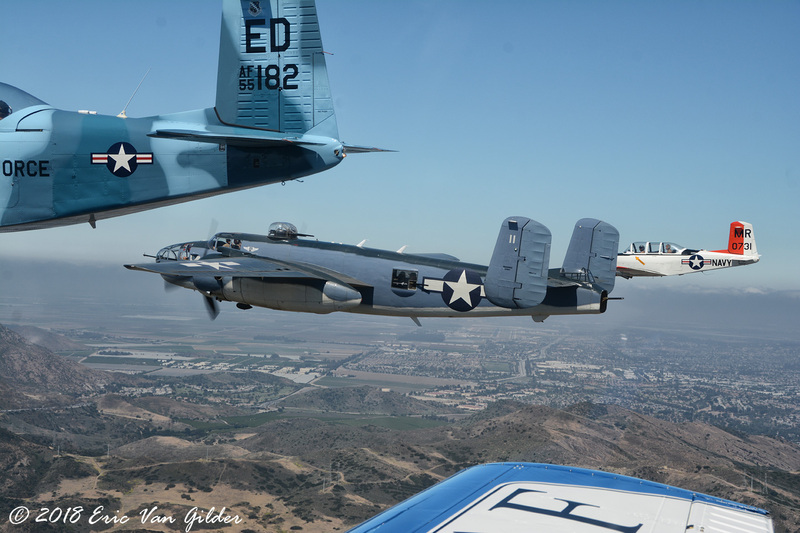 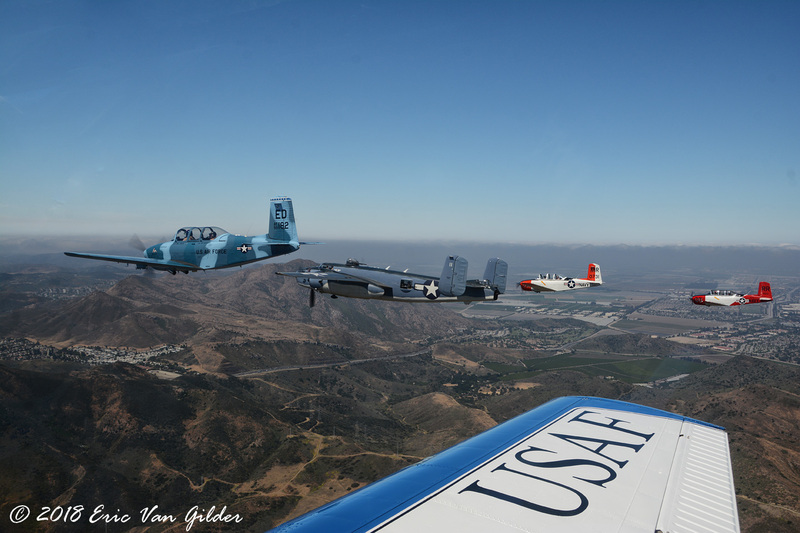 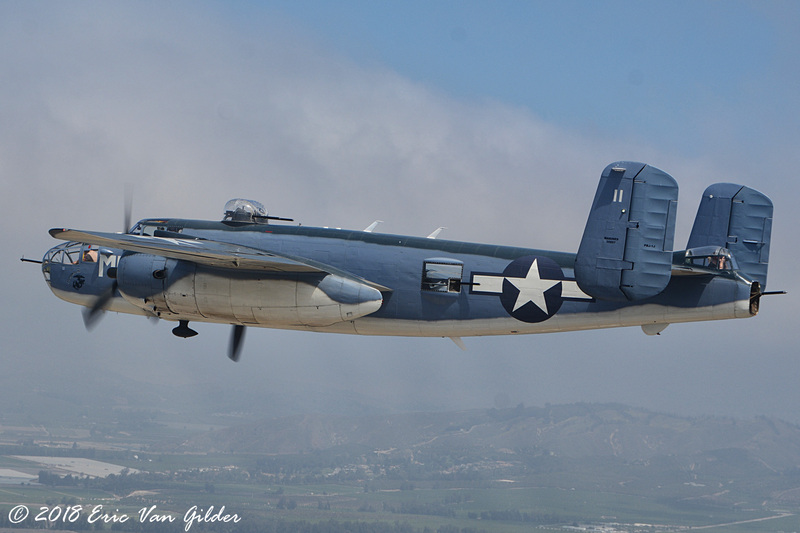 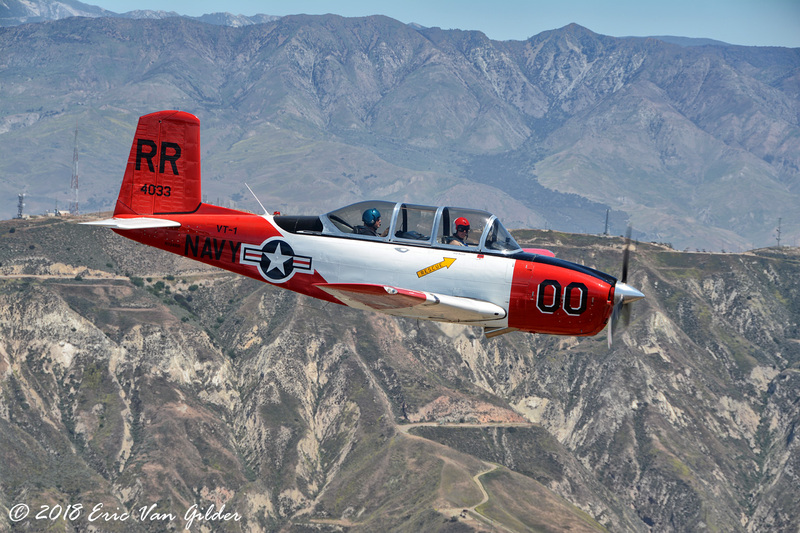 For this flight, we had a North American PBJ (Navy version of the B-25 Mitchell) flown by Jason Somes and Mike Hohls of the Commemorative Air Force, Southern California Wing lead the flight. 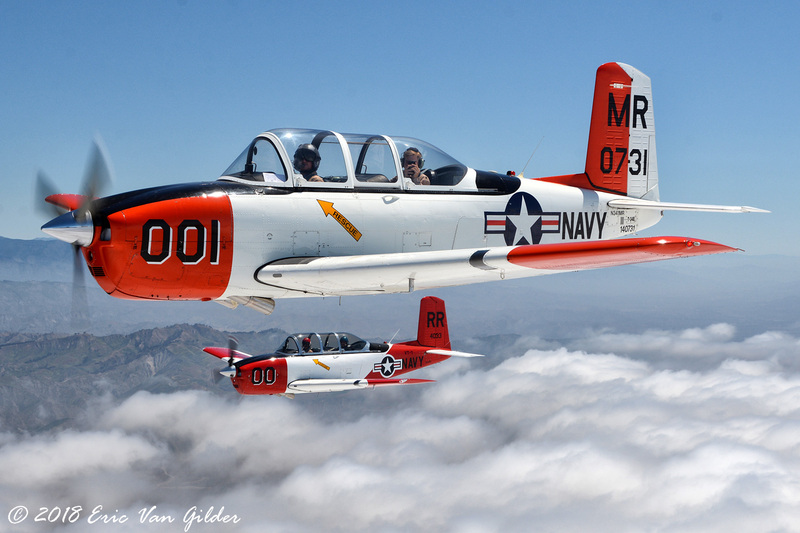 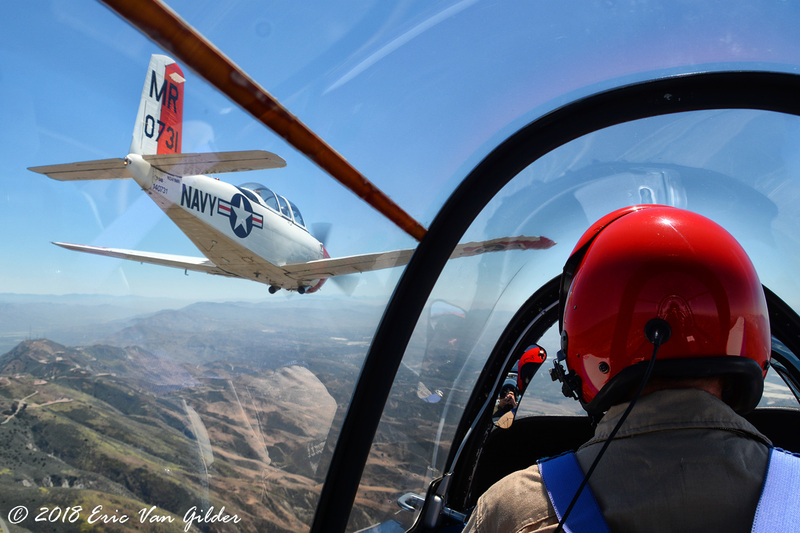 Four Beech T-34 Mentors formed up with the PBJ flown by Michael Maloco, Ron Alldredge, Marc Russell and John Russell. 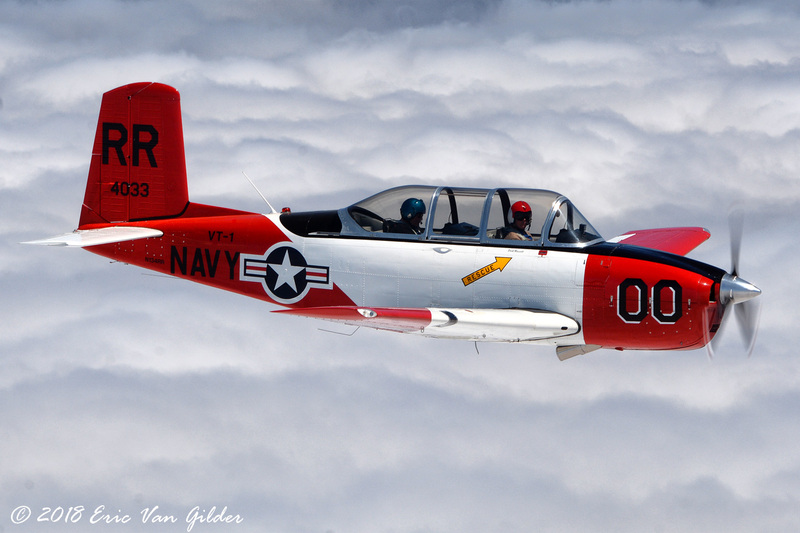 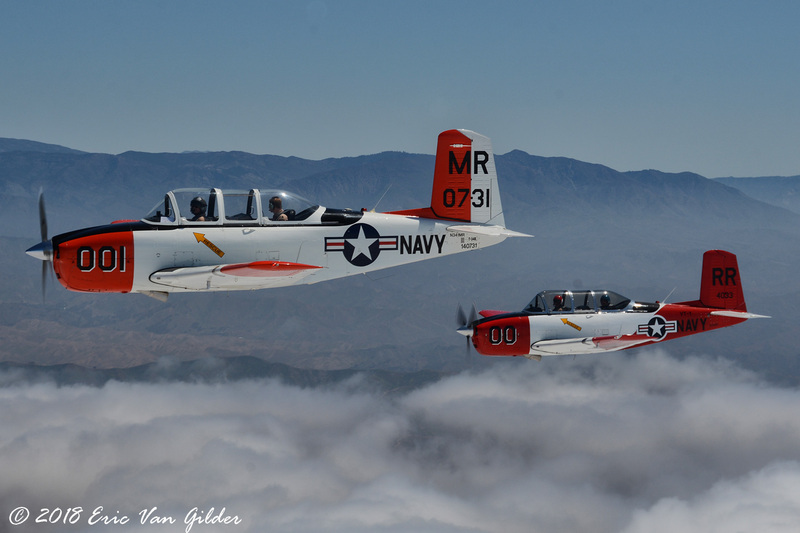 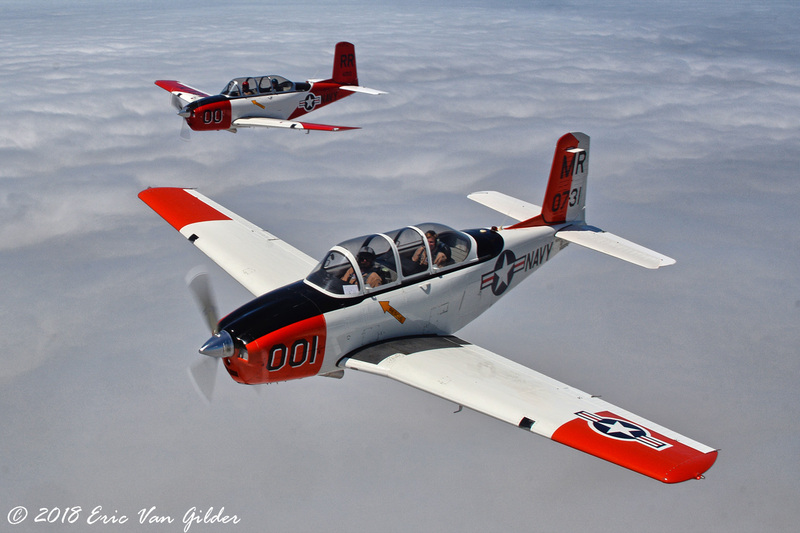 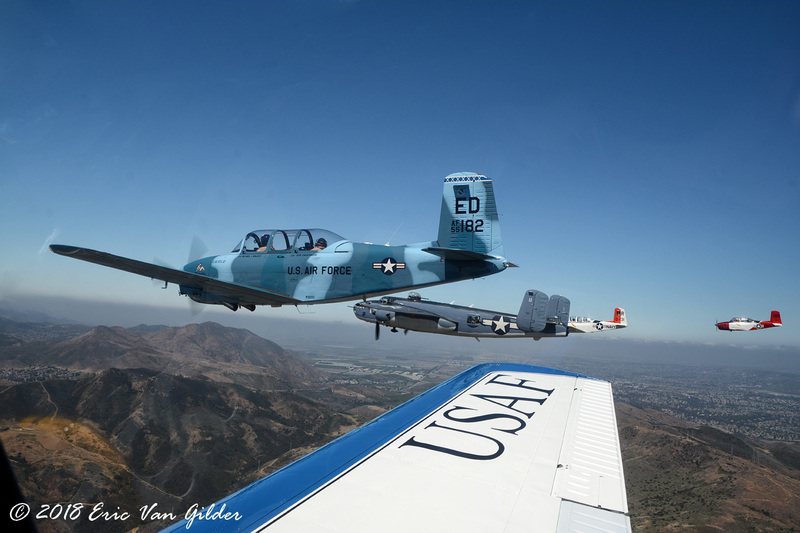 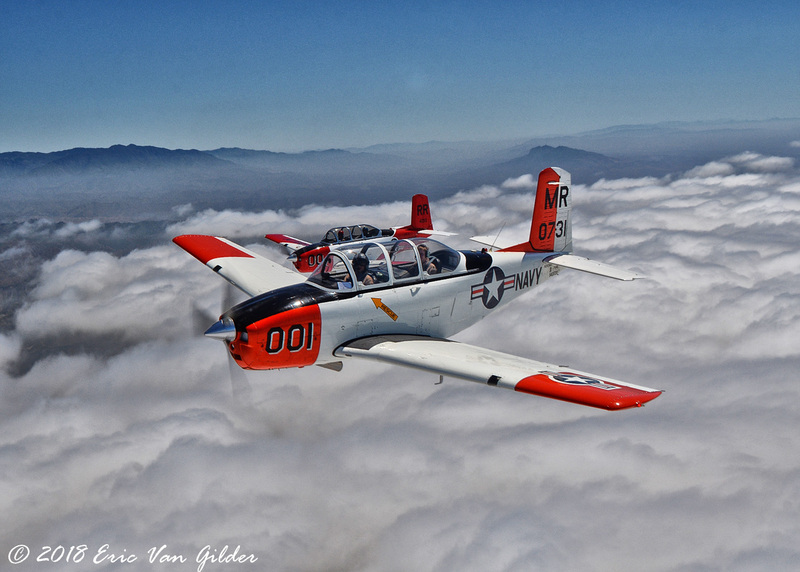 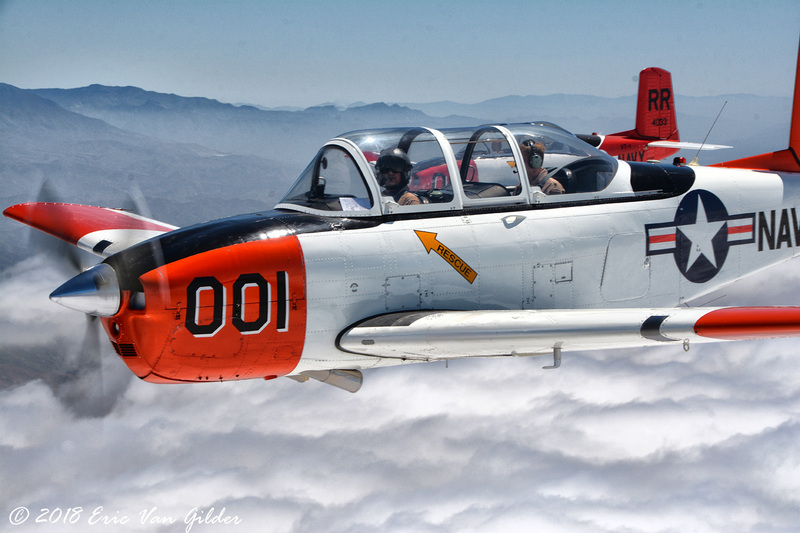 After the flyovers, the T-34s broke off from the PBJ to do some formation work over the clouds off the coast. 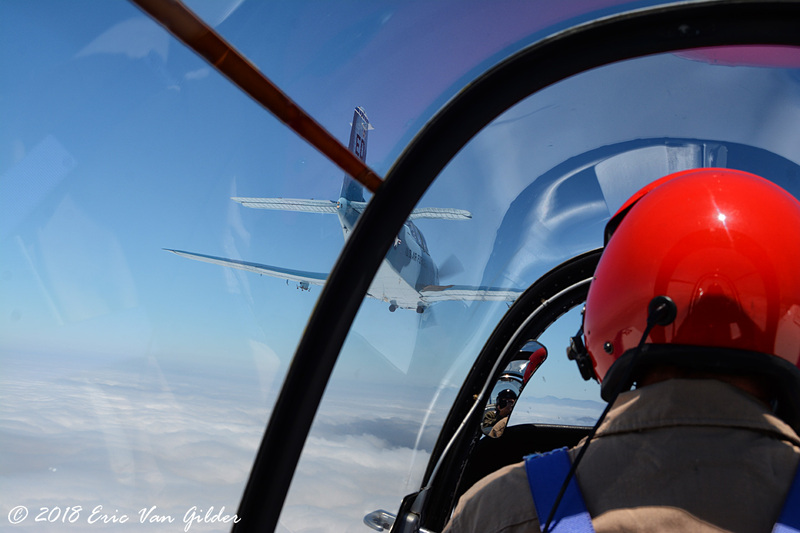 It was a great and safe flight and a big thanks goes out to all teh crews involved.